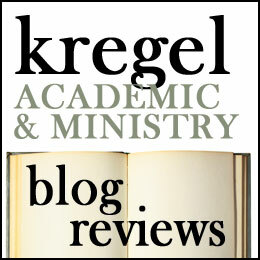 Looking for a devotional which is accessible and theologically rich? One that explores liturgy, Scripture and the Spiritual life? 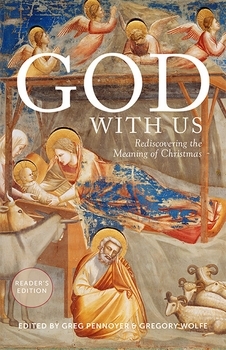 Here is a good choice for Advent and Christmas and one I plan to spend a little bit of time with. Mark Villano the Director of Mission and Ministry at Marymount California University. 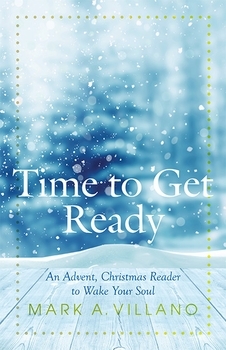 In Time to Get Ready: An Advent, Christmas Reader to Wake Your Soul, he combines scriptural insights, liturgical reflections with pop-culture and true-to-life illustrations. Villano guides us as we prepare to enter into the seasons of Advent, Christmas and Epiphany. Villano has spent more than a decade in Catholic Campus ministry. He explores spiritual insights in a culturally relevant manner. However this isn’t just ‘a college devotional.’ Villano helps all of us enter into the true meaning of season–the coming of a Savior and the rhythm of God’s grace. While Villano is deeply steeped in the Catholic tradition, this is a reader that all Christians can read fruitfully. He doesn’t speak of Marian devotion in ways that makes a Protestant like me uncomfortable. Instead he commends Mary’s response (week four of Advent) in a way that invites us to respond with similar openness to Gods movement in our lives. Each daily reading explores the Bible, Christian tradition and its meaning for us. On the whole, I found the entries I read orthodox and inspirational [typically I read every word of books I review, but I made an exception and skimmed this one as I plan to use it through out the holiday seasons]. I look forward to spending time with this devotional through Advent. Available at paracletepress.com, Amazon.com or wherever good books are sold. Preliminary rating: 4 stars. I am at the beginning of a pastoral succession process. The church I start leading on Sunday, has had a pastor for the past twelve-and-a-half years who is loved by the church and the wider community. This is a woman who has networked, started ministries which reach out to the community and has prayerfully led the church through difficult circumstances. She has a heart for racial justice, community outreach and mission. She leaves this position to focus more in these areas and she will still be part of the church family. I am the ‘noob.’ I care about many of the same things as the previous pastor and want to see the church impact the wider community but am still at the beginning of learning how to lead a church. I want to do that well. So I read Next: Pastoral Succession That Works with interest hoping to garner whatever kind of wisdom it had for me at this moment in my pastoral career. Authors William Vanderbloemen and Warren Bird have years of experience in helping church leaders lead effectively. In this book, they research successions that work, successions that fail and how church boards and pastoral leaders can plan for a good succession process. This book wasn’t written directly to me, but for out-going pastors, search committees and elder boards to help them think ahead. Vanderbloemen and Bird noticed that many successful pastors stay in their role past their prime, with no real plan of succession. As a result, the church looses momentum and when the inevitable switch happens it falls off mission and loses membership. They suggest intentionality about the succession process. After all, every pastoral position (or really any position) is temporary. All pastors are interim pastors who steward the church for a term, and they should be thoughtful about how to prepare the way for their successor. Because Vanderbloemen and Bird base their findings on qualitative research, this book is full of stories of the succession process at various different kinds of churches (both glorious successes and epic failures). They observe that some of the best succession stories happen when churches groom someone from their staff or membership to take the place of the out-going pastor. This makes sense to me, though I think large mega-churches are more likely to have the pool to draw on for this sort of succession (and I am kind of glad the church I was hired at didn’t follow that route). Also, they speak highly of father-son successions without any worry about nepotism (i.e. Joel Osteen is one of their ‘success’ stories). However, they do not have a formula ‘one-right-way’ approach. They assert that if God is in it, successions will work. Three pieces of salient advice I found helpful were: (1) intentionality about the succession process-especially in the first 100 days, (2) help from the out-going senior pastor, (3) new pastor honoring their successor and the church’s past. I think churches will benefit from reading this book, especially when they are in the midst of a search process. Vanderbloemen and Bird talk about the intentional, good sort of succession, but they also address succession problems when a leader unexpectedly dies, has a moral failure or resigns early. A board with proper foresight can plan for every contingency. Vanderbloemen and Bird suggest creating a succession plan and revisiting annually. At times I disagreed with their pragmatic bent. They seemed to measure the success of a succession in terms of congregational attendance. Organizations go through ebbs and flows and I think a church that shrinks from thousands to hundred when the new pastor comes but is more faithful to the gospel, has had a successful succession even if their metrics do not bear this out. God can be in apparent failures too. This doesn’t mean that new pastors should not strive to bring in new sheep and to bear fruit in their ministry. It means that the picture of what it means to be a good, and faithful pastoral servant is more complicated than the picture that Vanderbloemen and Bird suggest. Thank you to Baker Books for providing me a copy of this book in exchange for my honest review. As I write this review the season of Advent is coming to a close. I have spent part of this season reflecting on Christ’s return. Eschatology is the study of end times. Itsignals our final hope: Christ’s return, a new heaven and new earth, and the restoration of all things. Thus the lectionary rehearses Old Testament prophecies that point to Jesus’ coming and hint at future hope: when lion lays down with lamb and we study war no more. Part of my reflections on eschatology in this season, have been guided by a new book from one of my favorite practical theologians, John Phelan, Jr. I have been a fan of Phelan since taking a Evangelical Covenant Orientaiton class (the denomination I am seeking a pastoral position in) where I read one of his previous books. As a former dean and president of North Park Theological Seminary in Chicago (the denomination’s seminary), Phelan is an important ECC voice. Essential Eschatology: Our Present and Future Hope, urges us to take eschatology seriously. Despite how much this season of Advent calls us to hope and long for Christ’s coming, many of us Evangelicals have an uneasy history with eschatology. There are influential fringe groups that fanatically obsess over end times, naming days and hours of Christ’s return. Others, like me at times, have claimed ambivalence. calling ourselves ‘pan-millenialists,’ because it will all pan out in the end. Phalen challenges us to see the importance of eschatology because of its practical and personal significance (13). This is a short book (less than 200 pages), but Phelan covers a lot of ground in ten chapters. Chapter one gives an overview of Christian hope through the lens of Isaiah, the Gospels and Revelation. Chapter two describes the urgency of reclaiming Christian eschatology. Phelan argues that the alternative to Christian hope is accommodation to the wider culture. he describes the alternative and prophetic hope of early Christians and the later accommodation to culture by the church at large, beginning with Constantine. Thus Phelan warns against our contemporary capitulation to our contemporary culture, especially in the areas of individualism, technology and the destruction of creation (45-8) Rather than ‘buying in’ to these false and bankrupt hopes, Phelan encourages us to cling to the hope we have in Christ. The chapters that follow make Christian hope vivid. Chapter three discusses the hope for resurrection. For Christians, our eternal hope is bound to Christ’s resurrection and our life and eternal destiny is bound up in him. We too shall rise!. Chapter four describes the hope of future judgement. In an-anything-goes, relativistic world, judgment may not seem ‘hopeful’ at first glance; however, Phelan makes the case that we live in a ‘morally serious universe’ and that the decisions we make matter (84). He discusses the reality of hell as the natural consequences of isolating ourselves from God and sinking into misery, fear, and loss (84). Chapter five describes the hope of the Kingdom of God–Christ’s reign on the earth. When Jesus came he proclaimed that the Kingdom of God was here. As the church awaits the fullness of the Kingdom coming, it also inhabits the Kingdom come. The church is the sacrament of the Kingdom of God (in Moltmann’s happy phrase)!. Phelan exhorts us to live out ‘the Kingdom life’ proclaimed by Jesus even as we await its consummation (98). In chapter six, Phelan discusses our hope for Christ’s return. He argues (along with N.T. Wright) that Jesus’ coming was the grand fulfillment of Israel’s story (107). Yet he differs from Wright in seeing eschatological implications for the Olivet discourse(Mark 13 and parallels) beyond the destruction of the temple in 70 A.D. Specifically, Phelan takes seriously Christ’s statement that no one knows the day or the hour except the Father and applies this statement to Jesus’ second coming. However, Phelan is no Hal Lindsey. He doesn’t give specifics about Christ’s return but says that it will likely be as surprising as the first (118). Chapter seven takes a closer look at the book of Revelation, to reveal our hope in the midst of empire. John of Patmos wrote while imprisoned by the emperor to a church struggling against opposition and threat. Phelan urges us to read Revelation with an eye for how to navigate a hostile world (and not to see prophetic references to helicopters and nuclear war). Chapters eight and nine discuss our our hope for the millennium and the hope of Israel, respectively, There are different views on the millennium–Christ’s thousand year reign. Phelan argues for a millenarian view (àla Moltmann) which posits that Jesus will rule the whole earth. This points to the redemption of our world, and also challenges the historic Christian tendency of supersessionism in regard to the Jews. A restored world, means a restored Israel and the promises to Israel are not negated by the existence of the church. The capstone of Phelan’s reflections is chapter ten, the ‘hope for the church.’ Phelan acknowledges the past failures of the church (i.e. antisemitism, the crusades, etc). But he also has faith and hope because the church is Jesus’ vessel to help usher in the kingdom. The restoration of all things is Christ’s work but we in the church have our part to play, as ambassadors of reconciliation (187). I loved this book. Phelan draws on the insights of N.T. Wright, Rodney Stark, Jurgen Moltmann and others in describing out hope as Christians. I found this book both accessible and compelling (a rare combination). I appreciated that Phelan did not get bogged down in end time predictions but explored the implications of our hope within a biblical-theological framework. I recommend this book for students, for use with church small groups and for individual readers who are interested in exploring Christian eschatology. While this is published by IVP’s academic press, ordinary readers will also be able to engage with the material that Phelan presents. He avoids theological jargon and explains his terminology. This is a book appropriate for any thinking Christian. Thank you to InterVarsity Academic for providing me a copy of this book in exchange for my honest review. It is past the third Sunday of Advent and our waiting and longing is swallowed up by shopping, concerts & pageants, Cranberry Bliss bars & Peppermint mochas, baking, decorating, and holiday parties. These are all great, but it is challenging to ‘wait for the Lord’ in this season of distraction!. I reflected in an earlier post on how entering into ‘waiting’ is to be dissatisfied with the status quo, to long for something better. But what can be better than ‘the most wonderful time of the year?! ?” I know Christmas time can be depressing, but I get excited each year and I want each Christmas to be special and memorable. I get caught up in whirlwind and you probably do too. When the first Christmas happened it was sudden. An angel appears to a teenage girl and calls her ‘highly favored.’ She is overshadowed by the Holy Spirit and, as a virgin, becomes pregnant with Jesus–God of the universe come in human flesh. From the time of Gabriel’s angelic visitation to Jesus’ birth in a barn, Mary waits, the way all women wait for their baby to come. But the Christmas story are not what Israel was waiting for. God becoming human was so wonderful and surprising that nobody was waiting for that! They were waiting for Israel’s redemption and restoration and the full return from exile. The Israelites longed to be free from the Romans (the last in a long line of pagan-overlords). The first Advent was as much about surprise as waiting. So why do we institutionalize waiting? Eschatology is a difficult subject to untangle but part of our Advent waiting is about Christ’s return–His second Advent. If anyone tells you that they know exactly what Jesus’ return is going to look like because they read it in the Bible, beware. They are going to sell you a series of novels or make movies which are a pain in the left-behind to watch. We know Jesus is coming back and we hope and long for the Day, but the details remain a mystery, locked in the apocalyptic language of Revelation. The second Advent also carries the same element of surprise as the first. And we wait. . . .
One way to understand waiting is ‘cultivated attentiveness.’ When you wait, in the Christian sense, you are looking for where God’s Kingdom will break in. You watch. You read the ‘signs.’ You listen. Part of my regular morning routine is showering (maybe yours too? ).My bathroom is far enough away from our water heater that when I turn the hot water on, it takes a couple minutes for the water temperature to change from icy cold to warm. I have gotten in the habit of turning the water on and waiting before I climb into the shower. I sense when the hot water comes in. Whatever it is that happens, maybe a slight change in density when the water hits the tile, I hear. And that is when I climb into the shower. If you were to give me an audio recording of a cold shower or a hot shower, I am sure I couldn’t tell you the difference, but because I have learned to pay attention in my daily routine I know when the change occurs. I think this is part of what it means for us to wait. We pay attention and listen for what God is doing. We look for where the Kingdom is breaking in and people are experiencing freedom. As we pay attention to God, we sense imperceptible shifts. We see the ways Jesus comes to us. We sense a change and know that God is on the move. I am so grateful for this season. I love the music, the Christmas cheer, time with family and friends. But my prayer is that as we wait we will also cultivate an attentive longing for more of Christ’s presence and reign in our hearts! May we long all the more for his return! In my last post I examined Elliot Ritzema’s resources that are part of the new Pastorum Series Collection from Logos Bible Software. In this post, I will look at Jeffrey Miller’s resources and how his and Ritzema’s books work together. Jeffrey Miller is the author of Hazards of Being A Man, co-author of Zondervan’s Dictionary of Bible and Theology Words and A New Reader’s Lexicon to the Greek New Testament and has been a contributing editor on three commentaries. Additionally he has 11 years of pastoral ministry experience so he understands the pressure of having to write sermons week after week. In the Study, Apply, Share guides which are included in this collection, Miller offers sound exegetical advice and helpful hints on how to make the Bible meaningful to your congregation. Each of these questions link to different resources in Logos. As you can see from the above example, many of Miller’s ‘go to’ commentaries are not in my personal Logos library (of the above, I only have the Word Biblical Commentary). If I do click on the questions with a ‘lock’ I get a splash page in Logos which directs me to the Logos product page that corresponds to that resource (for purchase). While I can’t buy everything that Logos suggests, Miller’s questions are helpful for digging into the text and I can easily follow his hints by cross referencing the passage comments in other commentaries (which I do own). Granted, those who have a more comprehensive library than I will be able to accomplish more, more efficiently. These themes help preachers frame what they are to say, providing the ‘big idea’ as they craft their message. If I were preaching this passage, I might use one of these themes to give me a general direction (provided my study, didn’t direct me another way). The suggested applications answers the ‘so what?’ question. Our exploration of John the Baptist should lead us to question our own hypocrisy and the need for preparation. Miller helps hone in on what it means to live out the truth presented in this passage. Other passages would yield different themes and applications. This section has creative activities which involve the congregation (as in the first suggestion above). Sometimes these are suggestions for particular pastoral duties (i.e. preaching an evangelistic message, holding a baptismal service, etc). This is the section I think I will get the most use of. Miller gives some great suggestions on how we can make this passage come alive for congregants. Other passages also include full color graphics which illuminate an aspect of the message or book being studied. These resources (Luke and the other books) are time savers which provide hints, suggestions and ideas for sermon preparation and delivery. Thankfully, Miller stops short of writing the sermons for pastors. Obviously for pastors to preach well, they need to sit under the text themselves, study and hear from God what he may be saying to that particular congregation at that particular time. Nothing that Miller says short circuits that, but he does help preachers listen well to the text, and get the point before they start communicating. 300 Quotations for Preachers, ed. Elliot Ritzema (Bellingham, WA: Logos Bible Software, 2012). O Healer of souls, purge me of the leaven of hypocrisy and teach me the holiness of sincerity, frankness, honesty and courtesy. You have shown me the nobility of faith, and in my secret moments let me be busy in learning the principles of your kingdom, fastening them to my heart, that I may not fail in practicing them when I am tested. Open my eyes to the sacred trust that you have laid upon me, and let me know that all fruitfulness is the work of your grace, for I am only a steward awaiting my Lord’s return, to whom belongs my affection and my life. Amen. A search by passage would also yield a prayer from Anselm of Canterbury and an incisive quote from Augustine. So for any given passage, there may be several prayers and quotes which can be correlated to Miller’s material. As an entire collection, these resources are a tremendous help to the overworked preacher. Miller’s resources are different from Ritzema’s but they compliment each other well. Miller helps preachers delve into the Bible, study deeply and present relevant messages. Ritzema’s resources give preachers and worship planners a means of introducing the congregation to significant voices from Church history. Taken together they help pastors and worship leaders plan Sunday worship in a cohesive way. I happily recommend this resource and believe that preachers will make good use of it. 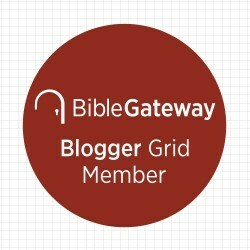 (Notice of material connection: I received this resource from Logos Bible Software in exchange for my honest review).